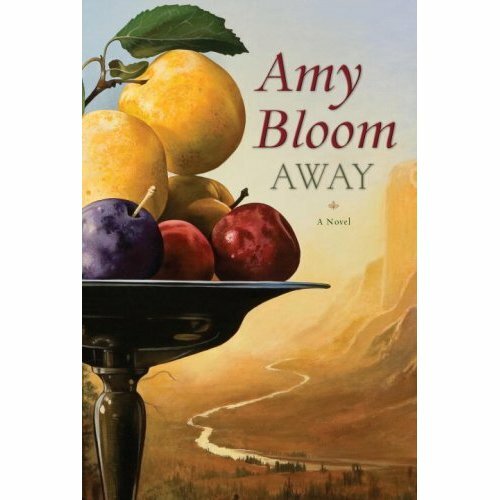 Big Island Rachel's Books: Amy Bloom's "Away"
People in Brooklyn frequently abandon--actually, I should say liberate their used books on street corners and stoops. There are so many books available for free to any random pedestrian that it took me almost two years of living in New York before I even used my library card. To anyone who knew me at the Hawaii State Library, this is a shocking statistic. I used to go there at least twice a week, schlepping home six books at a time, not because I was going to read them all, but because I'm a book junkie. I love the sensation, the smell, the sight of all those little black marks swarming across the page. The Brooklyn street book phenomenon--they're like finding bottles of wine or bags of weed just sitting there for anyone to take. Anyway, this review is about a street book called "Away," by Amy Bloom. Fine adventure reading, about a Jewish woman, Lillian, fleeing persecution in early Soviet Russia. She comes to New York City's Lower East Side in the 1920s after her family is murdered in a pogrom and falls in with the thriving Yiddish theater crowd. But her city life is cut short when she learns that her little daughter may still be alive and living with cousins in Siberia. Lacking the funds for an ocean voyage back to Russia, she takes off overland across America, intending to walk the Yukon Trail and sail the Bering Strait to get her daughter back. One of the things that sets this book apart from the other things I've been reading is how the author deals with secondary and tertiary characters. Lillian's story unfolds in real time, but the people she encounters--her lovers and friends--we get to see their entire life stories, and their eventual deaths, laid out in a few pages just after Lillian leaves them to continue her journey. It's kind of like the series finale of "Six Feet Under" (SPOILERS) when the show flashes forward into the future to show the deaths of every main character. And it's deeply moving, because it reminds the reader about mortality and the fragility of life and all of that good stuff that is the REAL reason we read books: to experience life and death in the miniature, in the hopes that it will better prepare us for our own.